accessories | art by mags! 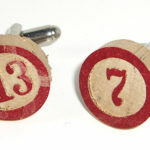 after i started making clocks and t-shirts, i began branching out into other crafty ideas, ending up with a few standard accessories. 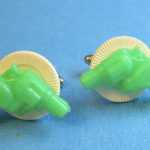 first it was cufflinks – because i personally love them – mostly made from recycled, found and collected objects like board game pieces, dice, computer keys, and most cleverly (i thought), spray nozzles from spray paint cans. 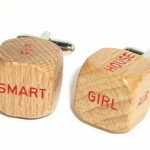 the possibilities are endless, and they make great gifts! 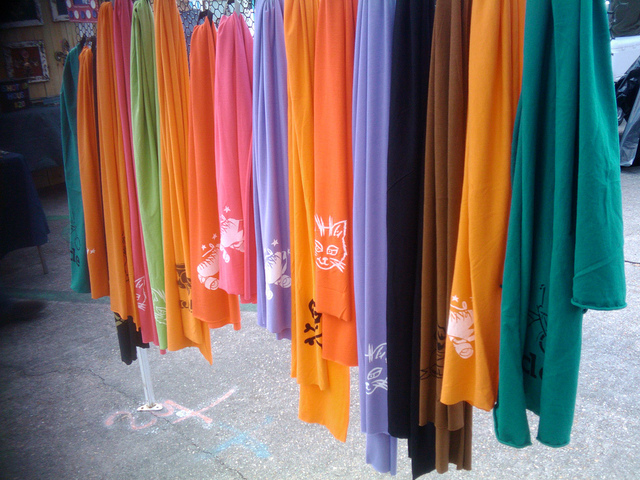 stenciling on groovy 70s fat neck ties was also a thing i really enjoyed for a while. 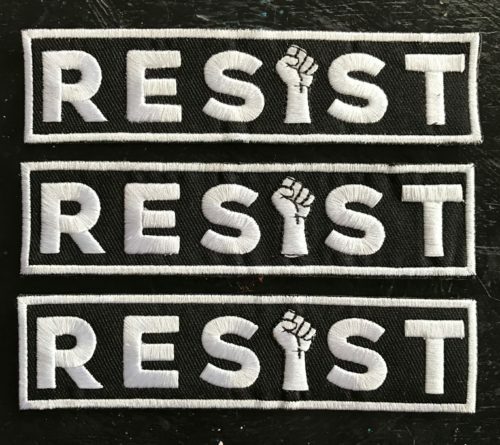 more recently, i got some embroidered patches made of my RESIST design. i’m thinking of doing more patches and offering more embroidered things in the future.